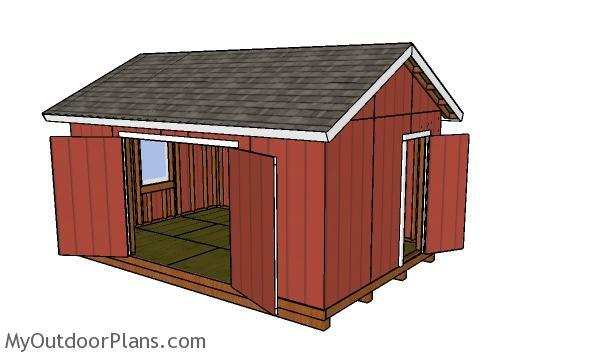 This step by step diy project is about 12×18 shed roof plans. 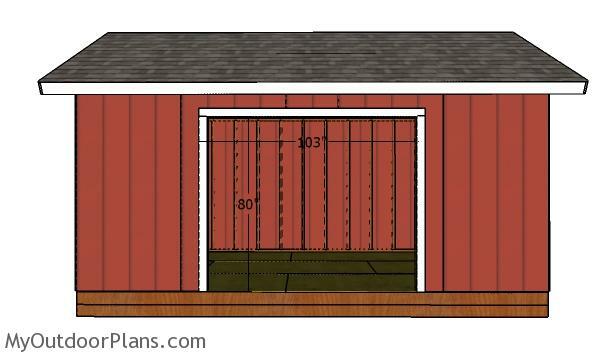 This is PART 3 of the sturdy 12×18 storage shed, where I show you how to build the double front doors and the side door. 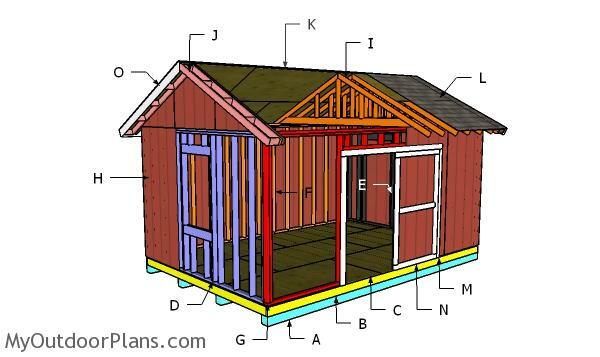 Make sure you check out the first and second part of the project, so you learn how to build the frame of the shed, as well as the roof. You can easily adjust the size and the design of the doors, to suit your needs. Take a look over the rest of my woodworking plans, if you want to get more building inspiration. Fit 2×4 jambs around the door opening. Cut the components at the right dimensions and secure the jambs into place with 2 1/2″ screws. Align the edges flush. Continue the project by assembling the double shed doors. Cut the frame of the 2×4 lumber at the right dimensions and lock them into place with 2 1/2″ screws and construction glue. Align the edges flush and make sure the corners are square. 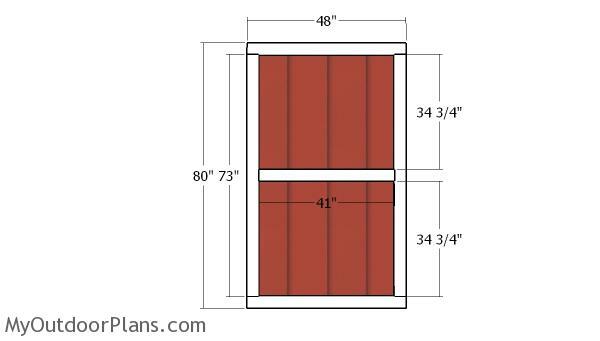 Attach the T1-11 siding sheets with 2″ nails, every 8″ along the framing. Fit the double shed doors to the opening and lock them to the jambs with hinges. In addition, install a latch to keep the doors shut. Fit the 2×4 jambs around the side door opening. Assemble the side door, using the same techniques described above. Fit the door into place and use hinges to lock it to the jambs. Install a latch to keep the door locked. 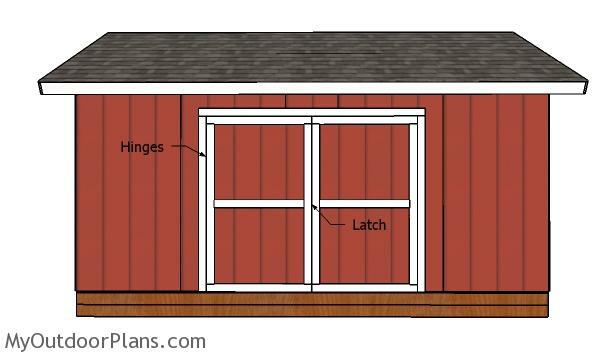 Make sure you check out the rest of the project, so you learn how to frame the 12×18 garden shed and how to build the gable roof. See PART 1 and PART 2. 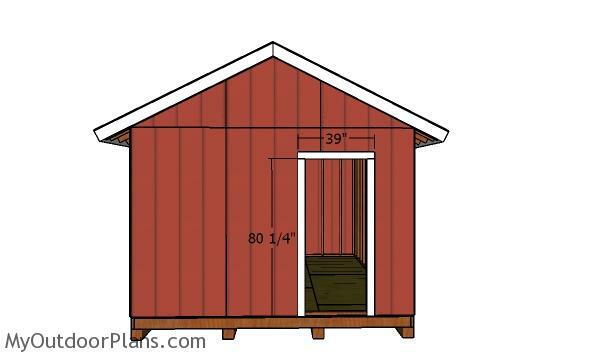 In addition, I have lots of other shed projects on the site so I recommend you to browse through all alternatives before starting the building project. 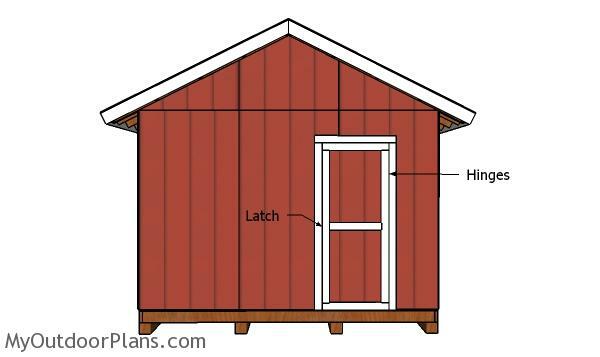 You can also add 1×4 decorative trims to the corners of the shed. 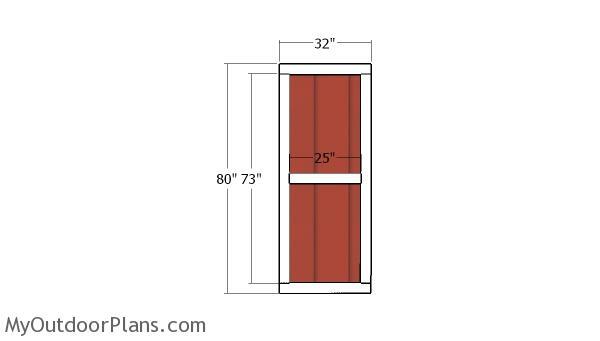 This woodworking project was about 12×18 double shed door plans free. If you want to see more outdoor plans, check out the rest of our step by step projects and follow the instructions to obtain a professional result.